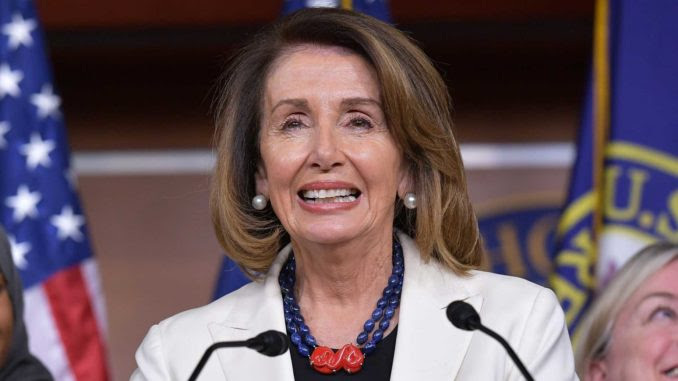 President Trump has blasted Democratic House Speaker Nancy Pelosi, accusing her of supporting vile human traffickers. Trump accused Pelosi of wanting open borders because “she doesn’t mind human trafficking,” adding that he won’t allow her to stop him from building the wall. Brennan’s interview with the president comes days before his first State of the Union address in a divided government, and two weeks before government funding for several federal departments and agencies runs out on Feb. 15. 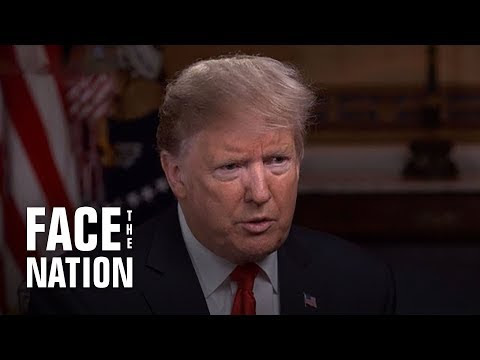 The president continues to insist on billions for his border wall and has threatened to declare a national emergency at the border, which would give him the unilateral authority to use military funds to build a wall without a congressional appropriation. Pelosi postponed his State of the Union speech, which would have taken place this week, citing the government shutdown. She then re-invited the president to deliver his address Tuesday. “She’s — she’s costing the country hundreds of billions of dollars because what’s happening is, when you have a porous border and when you have drugs pouring in, and when you have people dying all over the country because of people like Nancy Pelosi who don’t want to give proper border security for political reasons — she’s doing a terrible disservice to our country,” the president told Brennan Friday. “President Trump’s recklessness didn’t make us safer, it undermined our security with 35 days of border patrol agents, DEA agents, FBI agents and Homeland Security personnel missing paychecks. Democrats have put forward strong, smart and effective border security solutions in the bipartisan conference committee, while the President still refuses to take a second shutdown off the table,” Hammill said.